With the fast improvement of technology, Blu-ray has been generally recognized as the future media mainstream for HD movie watching, though DVD is still now occupying a larger market share. However, with the wide spreading of Blu-ray movie and Blu-ray disc, more questions upon Blu-ray movie watching have been flooding: play Blu-ray movies on computer, watch Blu-ray movies on mobile devices, backup Blu-ray movies, enjoy 3D Blu-ray movies, etc. All these issues might bring inconvenience to HD movie watching. This post offers you 5 Blu-ray software programs from Leawo Software that could solve almost all questions for your Blu-ray movie watching. If you are a big Blu-ray movie fan, you should take a careful read upon this post. 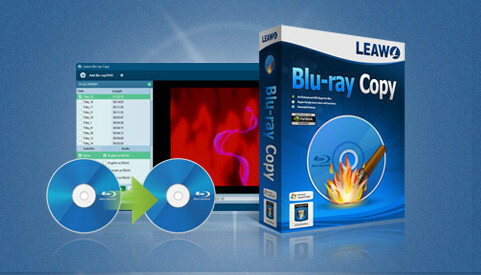 If you want to copy and backup Blu-ray movie folder or disc, or even burn ISO image file to blank Blu-ray disc, Leawo Blu-ray Copy would be an ideal assistant for you. Copy and backup Blu-ray/DVD movies as simple as you can imagine. 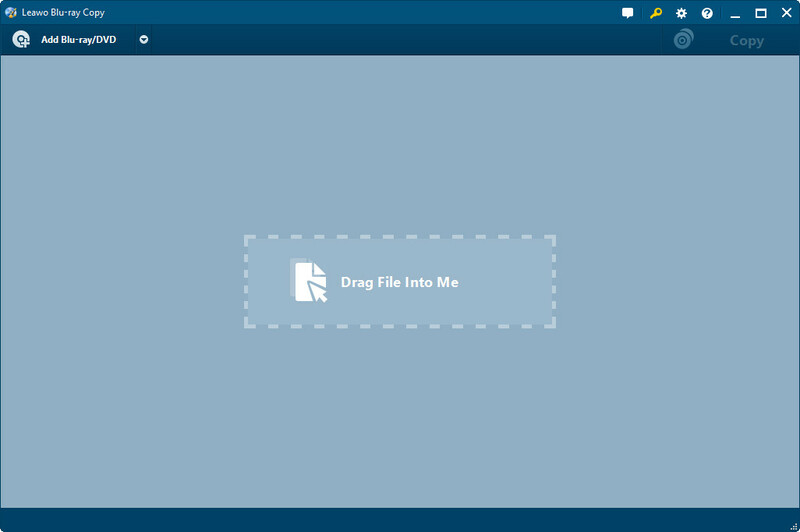 - Copy any Blu-ray/DVD disc or folder to blank disc, and hard drive as ISO or folder. – Copy and burn ISO image file to blank Blu-ray or DVD disc in one click. – 3 copy modes available: full movie, main movie custom mode. Copy any content at will. – Support 1:1 disc to disc duplication. Zero quality loss. – Compress BD50 to BD25, DVD9 to DVD5 and Blu-ray to DVD. 1. Kick off Leawo Blu-ray Copy. Clean hard drive space for copying Blu-ray to hard drive if neccessary. 3. 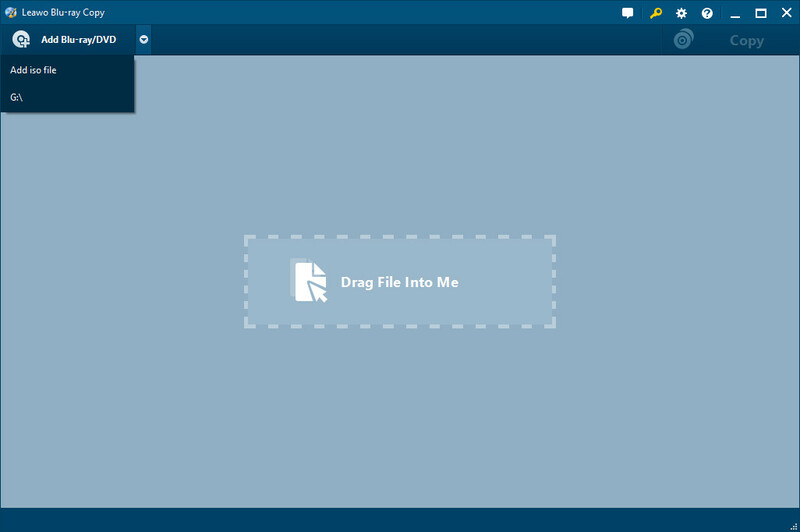 Choose copy mode and set output disc type at the bottom left corner. Click the big green "Copy" button. 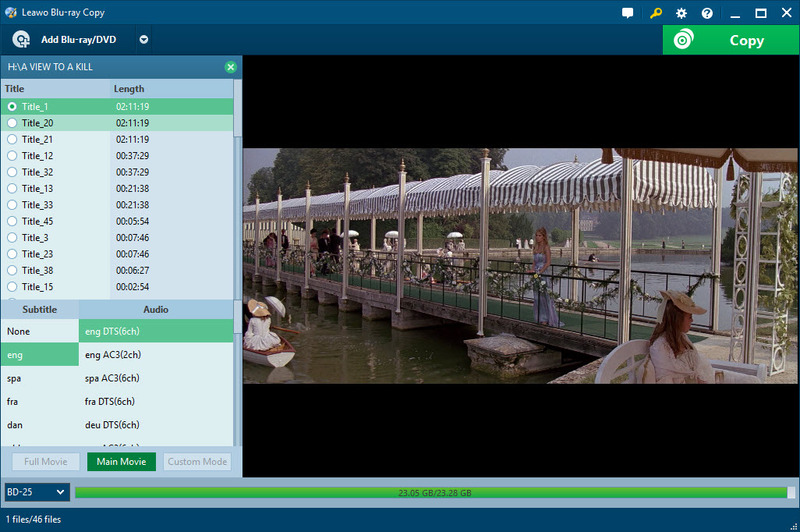 If you need to burn video files to Blu-ray discs, then Leawo Blu-ray Creator is your cup of tea. This Blu-ray Creator can easily burn video to Blu-ray discs (BD-25, BD-50), DVD (DVD-5, DVD-9) and ISO files. It supports a wide range of video formats, like AVI, MKV, MOV, MP4, FLV, etc. In addition, it allows users to edit videos at will. - Convert and burn video of 180+ formats to Blu-ray/DVD disc, folder and/or ISO image file. – One-click ISO image file to disc burning procedure. 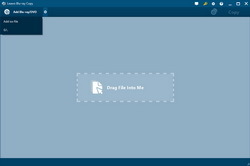 – Add a disc menu to output Blu-ray/DVD movies, even edit disc menu with personal referrences easily. – Edit videos before burning to Blu-ray/DVD movies, including: trim, crop, add image or text watermark, effect, etc. – Create 3D movies with 6 different 3D movie effects available. 1. Drag and drop source video, or click the "Add Blu-ray/DVD" button to add source video. 2. Select a disc menu on the right sidebar. Preview the selected disc menu and edit it if neccessary. 3. Click the big green "Burn" button to finish burning settings: Burn to, Disc Label and Save to. 4. Click the bottom "Burn" button on the popup sidebar to start burning video to Blu-ray. 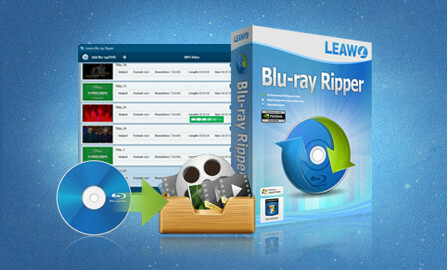 If you want to convert Blu-ray movies to video files and save it on your hard drive, Leawo Blu-ray Ripper may help you to fulfill your requirement. 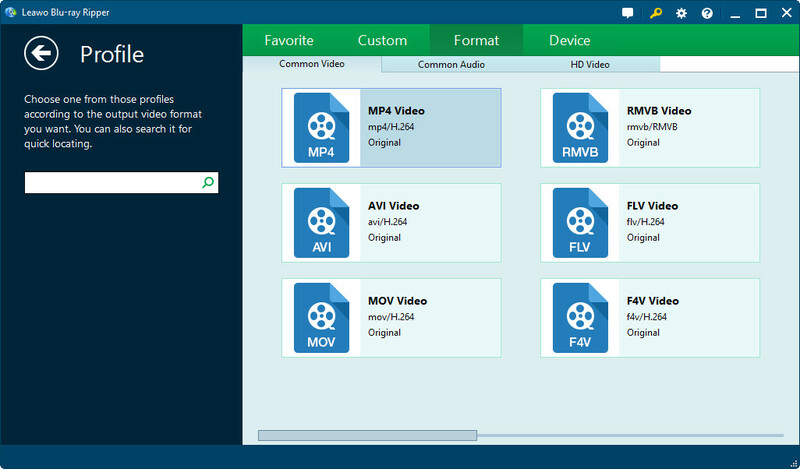 It can help users to convert Blu-ray movies to more than 180 different video formats including MP4, MKV, AVI, etc. Besides, it provides versatile edit functions for users to personalize their movie. 1. Click the "Add Blu-ray/DVD" button to browse and add source Blu-ray/DVD disc/folder. 3. Click the big green "Burn" button to set an output directory in the "Save to" option. If you want to rip Blu-ray discs but do not want to lower the video quality, you could try to get an MKV file. 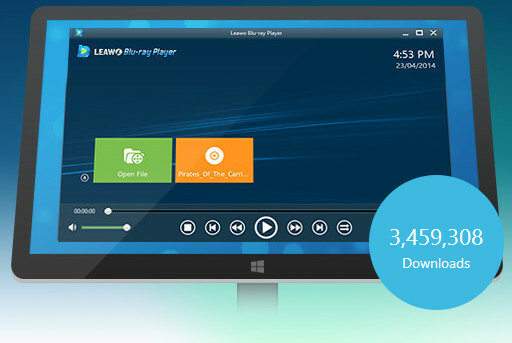 Therefore, Leawo Blu-ray to MKV Converter is exactly what you need. 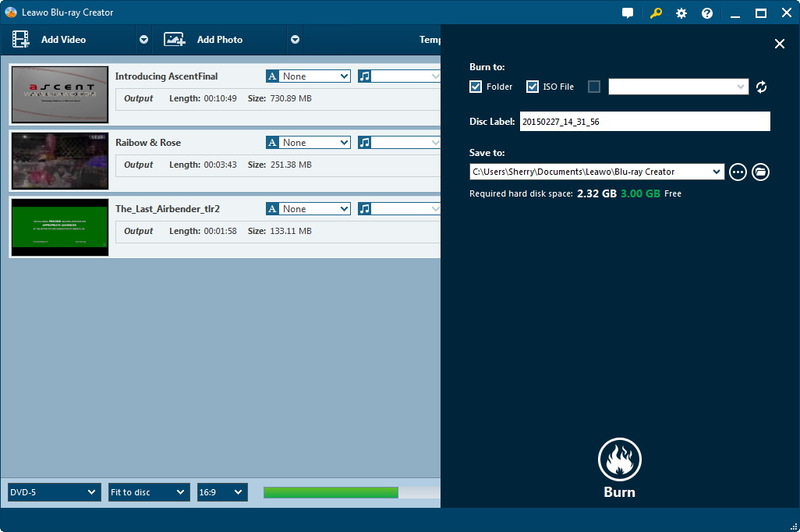 Specially designed for users to convert Blu-ray to MKV video files, it allows users to rip Blu-ray movies to MKV files in an easy but lossless way. Compared with Blu-ray ripper, the video files it produced has less format options but better video quality. If you care much about video quality, it would be the right choice for you. Designed for Blu-ray/DVD to MKV conversion exclusively. 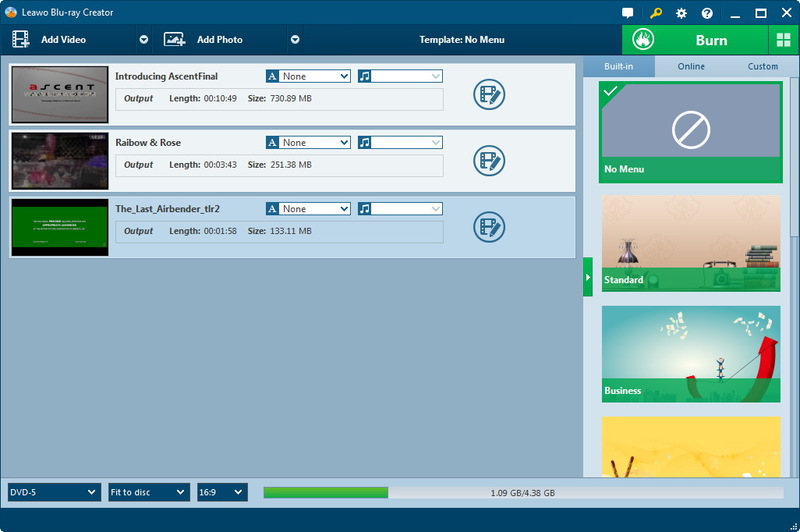 Retain desired subtitles and audio tracks at will. - Decrypt, rip and convert Blu-ray/DVD to MKV video exclusively, without any quality loss. 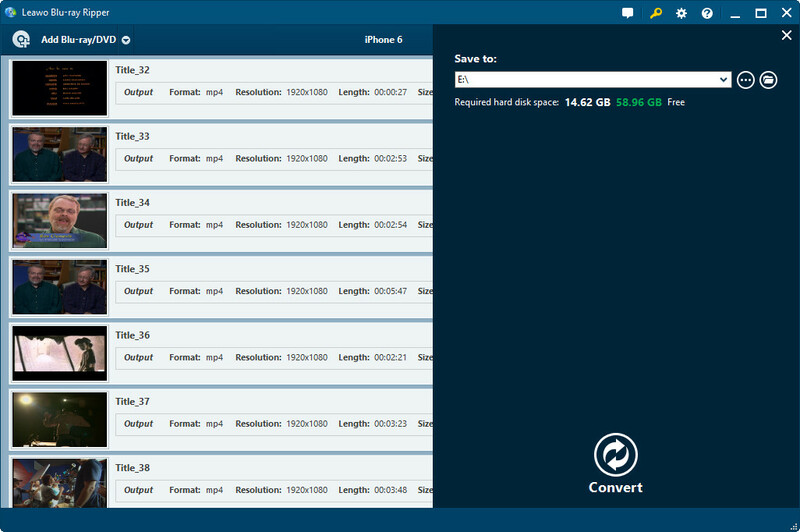 – Retain as many original subtitles and audio tracks as you need. 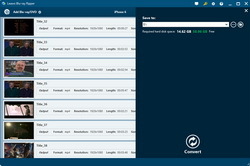 – Play back Blu-ray/DVD movies, and preview subtitles and audio tracks conveniently. 2. Click the drop-dwon box at the left processing panel bottom to select subtitles and audio tracks. 3. Click the "Output" box to set an output directory for saving output MKV files. 4. Click the "Convert" button to start converting Blu-ray/DVD to MKV videos. If you are looking for a Blu-ray player that could help you play back Blu-ray movies (in either disc, folder or ISO image file), Leawo Blu-ray Player is your choice. What’s more, it is a totally free Blu-ray player software program. It offers zero cost service for you to play Blu-ray, DVD, up to 1080P HD video, ISO image file and audio files. The ever best free Blu-ray player software to watch full HD movies with home theatre system. 100% Free. - Region-free Blu-ray and DVD disc player to play back Blu-ray and DVD discs, regardless of disc protection and region codes. – Remove disc protection and region code restriction for smooth Blu-ray/DVD disc playback. – Play back 1080P videos, audios and ISO image files smoothly. – Select desired subtitles and audio tracks freely. – Full playback control and detailed navigation system.